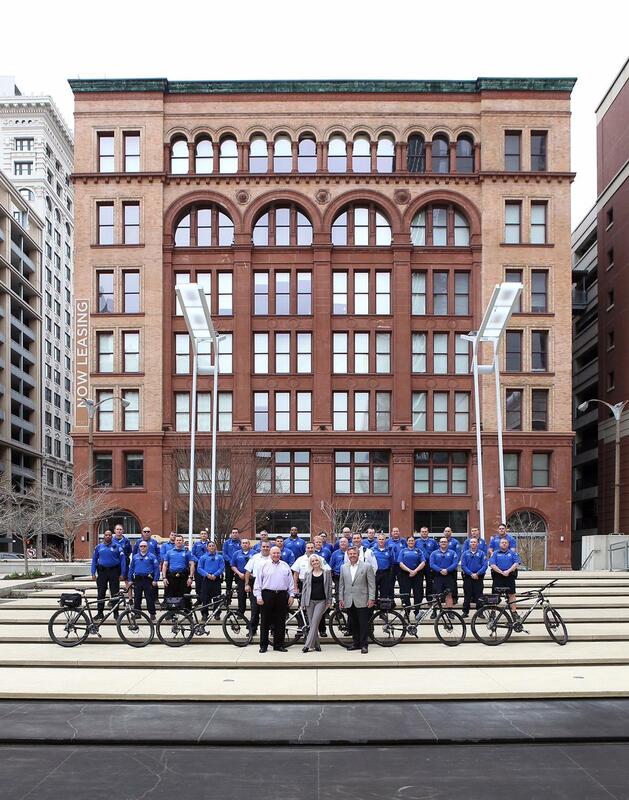 The St. Louis Downtown Police Bike Unit is hoping to serve the community creatively while addressing gun violence. To this end, officers organized a show of artwork they produced. Funds raised from the sale of this work will be donated to Jamyla Bolden’s fourth-grade class in the Riverview Gardens School District. Officer Solomon Thurman, III, serves in the bike unit and his parents run the gallery. He hopes the show lets the class know one thing. “They’re not alone and she’s looking over them and her spirit inspired us as far as to help them,” Thurman said. 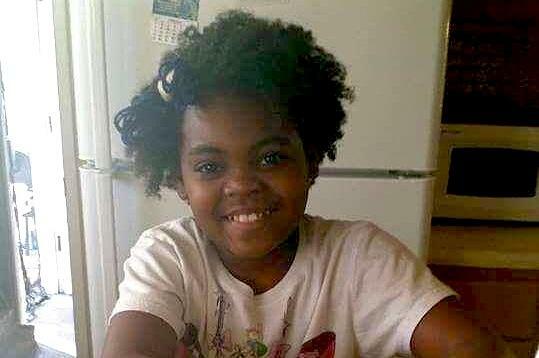 Two months ago 9-year-old Jamyla was shot in her home in Ferguson. Her death quickly became a symbol of St. Louis’s rising death toll caused by gun violence. Many of the images feature the officers bikes and other objects from their experiences while on the job but some drawings that featured police-specific imagery like handcuffs were excluded. Officers participating in the gallery show saw wanted to show Bolden’s classmates that they’re supported by a wide spectrum of St. Louis communities. “We never want to see a young person suffer. It seems to mean a lot more, it seems to hurt a lot more,” said the bike unit’s commander Lt. Daniel Zarrick. About 60 images were selected from more than 400 drawings produced by the officers during a 2012 workshop hosted by artist Solomon Thurman, Jr., Officer Thurman’s father. Thurman, Jr. runs 10th Street Gallery along with his wife, Patricia Smith Thurman. The artist was attracted to working with the police officers because of their discipline. The Downtown Bike Unit participated in several one-hour drawing classes, which resulted in the artwork shown at 10th Street Gallery. “It reminded me of the Kentucky Derby when they get a lot of trained thoroughbreds and try to get them lined up before the race takes off. That’s how they came into the room, a lot of energy. Once we got started, they went non-stop the entire hour we had our one hour drawing classes,” he said of the experience. He sees the show as an extension of the police officer’s presence on bikes in the community. It’s another chance for those officers to connect with the people around them. Most individual drawings are priced at $150 with larger images fetching higher prices. The show runs through Oct. 24. Over the weekend, the family of Jamyla Bolden buried their daughter — a bubbly fourth grader who loved to sing, dance and spend time with her friends. Pastor Willis Johnson of Wellspring Church led fourth graders at Koch Elementary in an affirmation. “I am somebody!” Johnson exclaimed. “I am somebody!” students replied. Johnson was there to hand out teddy bears donated by Build-A-Bear and books from the American Federation of Teachers. The effort was organized by his church’s Center for Social Empowerment and Justice, which was launched to support local business and schools in the Ferguson area. An O'Fallon, Mo., man is facing six felony counts including murder in the second degree in last week's shooting in Ferguson that killed 9-year-old Jamyla Bolden and wounded her mother. 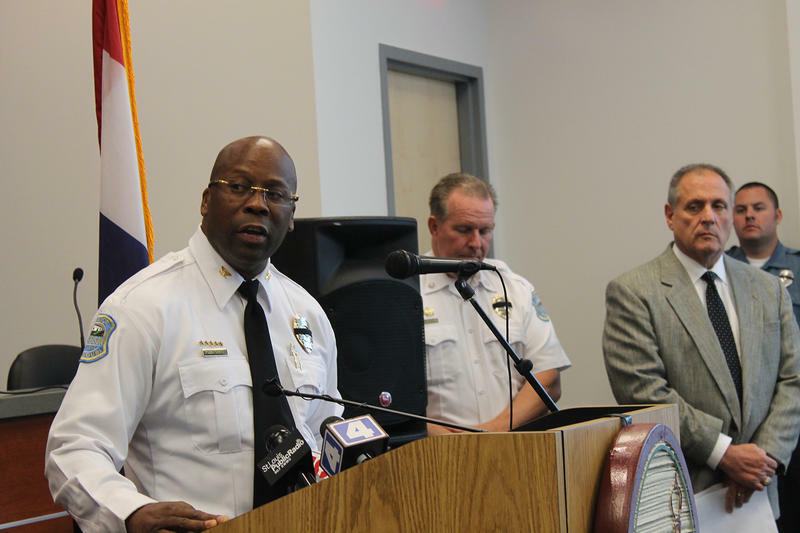 Police said Thursday De'Eris Brown, 21, confessed to shooting into Bolden’s home. Brown is being held on a $750,000 cash-only bond. Court records show Brown previously pleaded guilty to felony robbery.